Chillingo Ltd, the same guys behind the great Cut the Rope game, bring a brilliant racing game to the iPad. 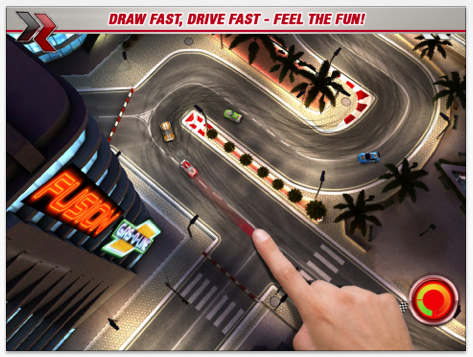 Draw Race 2 HD uses intuitive controls to manoeuvre a racing car around a track using your fingers to draw a path for the racing car to take. You’ll have to alter the pace in which you draw the path to simulate acceleration and braking for corners, to ultimately beat opponents and set a time to earn stars. 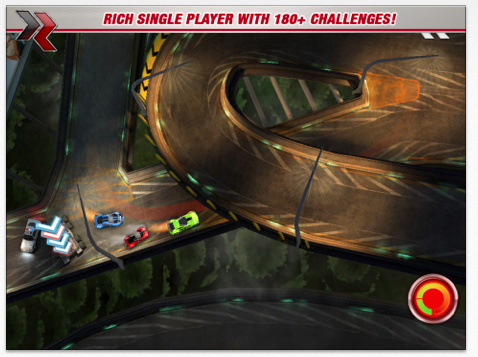 There is also a boost button that can give a burst of acceleration to leave your opponents in your dust. The game is full of fantastic levels with over 180 challenges across a variety of tracks all differing in complexity, from those that are a simple circle, to those that will have you feeling dizzy drawing the path. 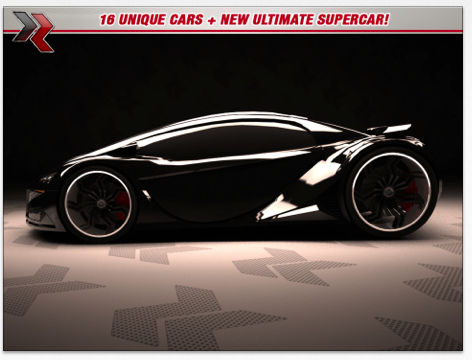 There are a multitude of different cars to choose from, with a super car available for an in-app purchase to beat those opponents or times you’re struggling with. The graphics on Draw Race 2 HD are fantastic with real levels of detail and what is great about this game is the sheer selection of cars that are available. 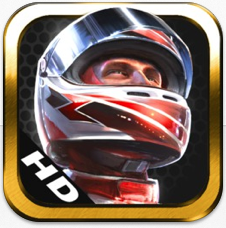 In addition, Draw Race 2 HD is hooked into GameCenter and includes the ability to challenge your friends to see who will be the best on the track. Overall, the game is fantastic, and I cannot find a bad thing to say about it. It is available in iTunes for £1.99and will be a game that will definitely find a permanent place on your iPad.